I have been spending more time over on swap-bot lately. Swap-bot is jam packed with people who are creative in so many different ways it can be overwhelming. I like it because I can find swaps that inspire me to create and try new craft ideas. One fun new craft I made is a Mini Book with Pockets. It only takes one sheet of 12"x12" double-sided scrapbook paper. Here's the cover of the one I made. I filled the inside pockets with little tags, stickers and other flat goodies and sent it off to my swap partner in Canada. Here's one of the tutorials on YouTube for making these cute books. (Sorry about having to watch the ad first.) Now I wish I had taken more pictures. I have shown some of my Dotee Dolls before. These little needle art dolls are so much fun to create. I hosted this swap for a Christmas Fairy Dotee Doll. Here's my Christmas Holly Fairy. I also made 2 Christmas Button Fairies. I love that I get to mix buttons, paper, trims, wire and anything else I can find to create these little art dolls. Unfortunately, I only took pictures of one of them. But here's my Santa Fairy sent along with a notecard. One last Christmas swap and this pincushion seemed to take me forever to come together. I had seen some similar on Etsy and I had a bag a vintage Christmas mini decorations, the perfect fabric and all the materials but I did struggle to create something I was happy with in the end. I hope you liked seeing my Christmas crafts. If you decide to check out swap-bot, please let me know and we could do some one-on-one swaps to get you going. If you happen to already be a swap-bot member, I'd love to meet up with you over there. I chose this adorable image for my New Year's greeting because I plan to be in my jammies before midnight too. Most years my family gets together for dinner but we all head home by about 9PM. It gets earlier every year. The one exception I remember was New Year's Eve 1999. We had food, drinks and games and stayed up at Mom & Dad's until midnight. My son was 3 at the time and he was the only one of the kids that actually stayed awake. We were pretty sure that the world wouldn't crash when we rang in 2000 and we were right. Do you remember all the hype about the computers crashing because they weren't set up to recognize a year that didn't start with 19? What do you have planned for this New Year's Eve? 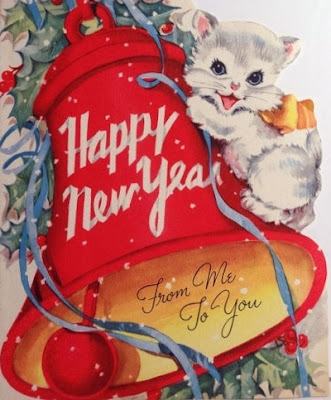 If you'd like more New Year's images, check out my latest Pinterest board here. Wishing each of you God's blessings in 2014. V-A-C-A-T-I-O-N in the Summer Sun! Just back from a week of vacation in Maine and New Hampshire. Both pictures above were taken by my son, the bottom pic was taken from a seaplane. We enjoyed a few days visiting with friends we haven't seen in about five years. Next, we headed to the White Mountains of New Hampshire. Incredible scenery everywhere you look. This was the view from the Wal-Mart parking lot near our hotel. We played mini golf and enjoyed a train ride in Lincoln. And enjoyed a cruise aboard the MS Mount Washington on Lake Winnipesauke. We had a fun, relaxing time. I haven't gotten my new sewing machine yet. Between our week away and the shop owner's vacation, I've got another week to wait. That's OK, because I can spend the time doing some more cleaning/organizing in my sewing room. 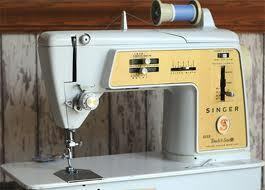 From the time I learned to sew at the age of 11 until I graduated from high school, I sewed on my mom's Singer. For my HS graduation, my parents bought me a brand new Singer sewing machine from the Singer store in the mall. Do you remember Singer having their own stores? They sold vacuums, sewing machines and fabric, patterns and notions. In fact, at the time, our new little mall had two stores selling fabric. There were things that machine did that I still wish for today like winding the bobbin right in the bobbin case, just push the button and press the pedal. So easy! And the buttonhole attachment was the best. You put the button onto the attachment and slid the gauge down to fit and it automatically made a perfect sized buttonhole! Thanks to Tonya's Sewing Room for this pic. But... it also had its problems, like the tension was never right and big globs of thread would bunch up on the underside of the fabric. It made sewing a nightmare. 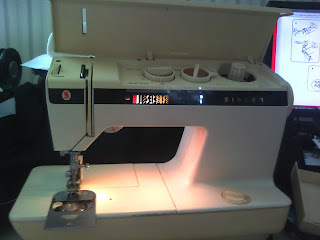 So a few years later, with my nearly new Singer for trade and money my grandmother left to me, I went shopping for a new machine. What I bought was a Viking 6690. It was top of the line and the first Viking to be partly computerized. 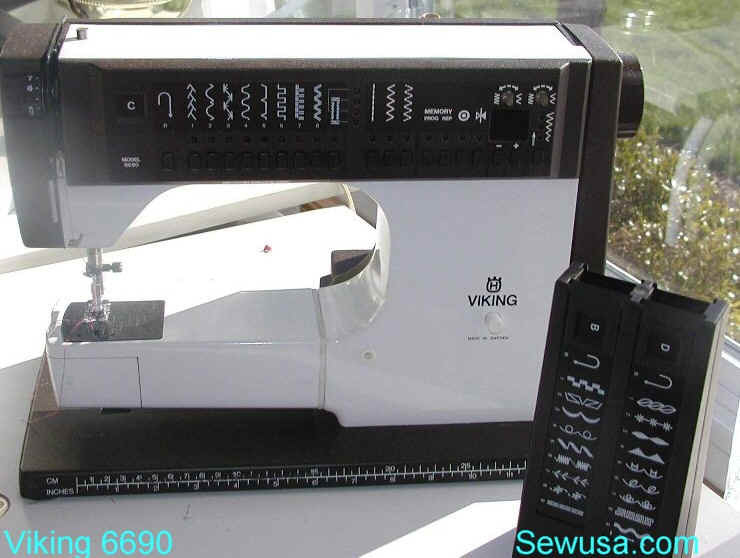 That machine has sewn everything from my first nephew's baptism outfit to a canvas awning for our deck. From theater costumes to my wedding gown. From hemming jeans to hundreds of yards of bias tape onto aprons. In all these years it required repair only once. When I purchased it, the store owner promised it would last me 35 years. Well, that 35 years is up and the machine is telling me it's tired. It's time for a new machine. After months of researching and shopping around, I finally made it official last Friday. I paid a deposit on a brand new Pfaff Expression 3.2. Yeah!!! Isn't she pretty? 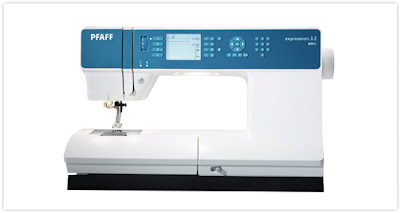 My machine had to be ordered but it should be set up in my sewing room in less than a week. I'm so excited!!! My favorite feature on this machine (and it's on all the new machines) is the light over the needle. It gives my eyes a much better view of what I'm doing. Now to decide what lovely project I'll make to christen my new machine. My cousin and his wife have a son and a daughter. Their son was married last Spring and their daughter was married last October. By Christmas they were both expecting babies! So this Spring I had two baby shower gifts to come up with. Of course that's the perfect excuse to make quilts. Thanks to browsing on Pinterest, I had become enamored of I Spy Quilts. Here's the first one I made. Over 150 different things to spy. I used a Snowball pattern and a checkerboard border. And the back... The fabric I wanted to back it with was too narrow so I pieced it. I like the design of this one better. They were both fun to make. More than half of the different fabrics were in my stash. My sewing buddy shared some of her cute fabrics with me and I shopped for the rest. I made a list of about 100 things to spy, had it laminated and tied one onto the corner of each quilt with ribbon. I'm sure the parents will have just as much fun playing with these as their little ones. 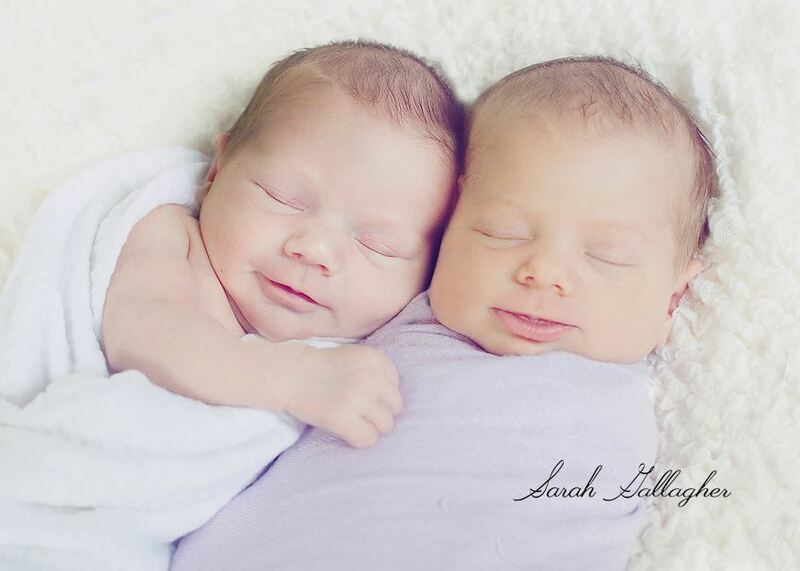 And speaking of those little ones, I must share a photo of the two baby girls that were born a month apart. I'm thinking these two will be more like sisters than cousins. Such a sweet new branch on the family tree. I thought the best way to catch up here is to show something new and something that I meant to post months ago. Let's start with something old. 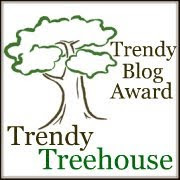 Maybe you remember about a year ago, some of us blog buddies decided to swap Blog Banner Triangles. Well, I did make mine and sent them out (not until September, but I did get them sent) and I received lovely triangles for my Friendship Banner. I just never got around to posting the results on here. Here are the Friendship triangles I sent. What fun I had making these. I started with gingham fabric. I added a glitter edge to white crepe paper ruffles. I embroidered the rick rack and layered the yo-yos. The part that I spent the most time on was choosing just the right little girl in an apron to match each color. Here are the Friendship Triangles I received. Even the backs were great on these. Thanks again to Tammy, Elizabeth, Sandy and Shirley for their lovely swap packages. Now for something more recent... My son convinced us to make a trip to a Flea Market on Sunday and I had some good luck. For a few years, I been keeping an eye out for vintage tablecloths. I wanted ones that were stained or have small holes or tears so I didn't feel bad cutting them up for aprons, pillows, valances or whatever I could make with them. Also, I hoped the ones with problems wouldn't cost too much. Since we live next door to Brimfield, Massachusetts (huge antique/flea market 3 times a year) we have quite a few year-round and seasonal places to go junking. I've found many vintage tablecloths but even the cutters had price tags that seemed to be too high for me. Until Sunday. Here's what I brought home. Four tablecloths in beautiful colors and graphics. The berry cloth, bottom left, has multiple stains and a small hole. The blue and pink rose cloths, on top, have some discoloration on the folds. The gold rose cloth is perfect. I don't think it was ever used. So what was my bargain price? $2.50 each! Can't wait to run them through the laundry and start playing with ideas to use them (except the gold rose cloth is going onto my dining room table). Next time...I bought a new sewing machine today! Since my last post, I've missed Valentine's Day, St. Patrick's Day, Easter, Mother's Day, my birthday, Memorial Day, Father's Day and Independence Day! 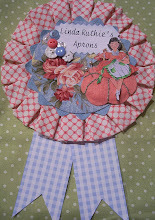 I have been sewing, knitting, crocheting, paper-crafting, Pinning, collecting and swapping. I've been to baby showers, wedding showers and birthday parties. (No graduations this year) I've been helping my parents out as my dad has suffered with health issues for the last 6 months. (He's doing better now) I'm shopping for a new sewing machine and we're trying to plan a week long vacation for later this summer. If you're anything like me, you have too many days when it's nearly 5 PM and the question has to be asked...What's for dinner? Lots of times it ends up being take-out and that sure can get expensive. The only way to avoid this situation is to know what's for dinner ahead of time and to have all the ingredients in the house. I always enjoy my day much more if dinner is planned. So, once in a while I'd like to share any good recipes I have that might help you answer that 5 PM question. Today's recipe is for Chicken and Rice Casserole. I usually have everything to make this already in the house. I love putting it together in the morning, then whatever happens during the day, I know dinner just has to be popped into the oven. I found the original recipe here. 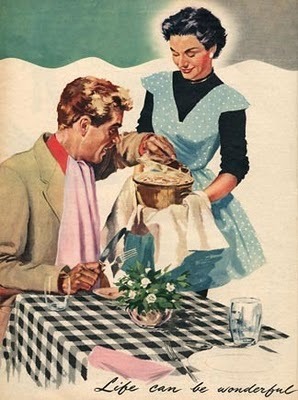 In my opinion, the picture shown doesn't look like the finished casserole. Of course, we ate all of ours because it is YUMMY and I didn't take a picture. I halved the recipe because we have a small family and made a few notes. Here's how I made this dish. 1 1/2 cups Chicken Broth, I made mine with "Better than Bouillon"
Preheat the oven to 350-degrees. (Unless you're making this ahead of time.) Saute onion in TBSP of butter until transluscent and starting to brown. Mix cooked onion, chicken, chicken broth, sour cream, rice and soup together. 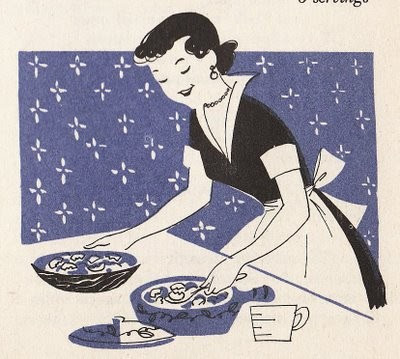 Transfer to greased, 9x9-inch, oven-proof dish. Bake for 20 minutes. Meanwhile crush the Ritz crackers into crumbs. Melt the 1/4 cup butter and mix with the cracker crumbs. Sprinkle over the partially baked casserole and return to oven for another 15 minutes until cracker topping starts to brown. Let me know if you give this recipe a try or if you have any questions. Do you have a favorite easy dinner recipe? I'd love to hear about it. Next day...As I'm reading through some blogs, I see that I'm not the only one having this problem. When I got to Debbie at Cozy Blanket's post, I'm trying what she did. Click on the HTML button and choose the picture icon. That screen lets you browse you photos. After uploading the picture, I click back on COMPOSE. So let's give it a try. Yeah! It worked. Not the easiest way, switching back and forth between the two, but I'll take what I can get. Finally finding a minute to post. I get so busy at the end of the year, I end up putting blogging on hold. But I couldn't wait any longer to wish all of my friends A VERY HAPPY NEW YEAR! Once my schedule is back to normal, I hope to have time to catch up with all of you. 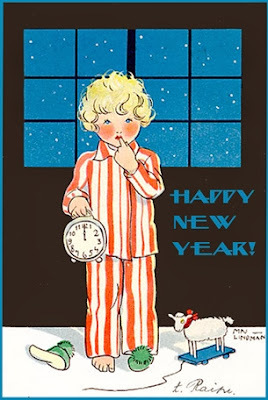 Thanks to Sandy for the adorable New Years graphic. I couldn't resist joining Viv's Halloween Swap. Each swapper made a decorated witch's hat and filled it with Halloween goodies to send to our swap partner. As it turned out, my swap partner, Val, is a lovely lady I 'met' years ago on swap-bot. Our love of aprons brought us together back then and it was such a nice surprise to meet up again for this swap. This is the witch hat I made for Val. I started with a paper mache hat and made a cover from black velvet. I covered the inside brim in black / orange dot fabric and trimmed it out with ribbons, feathers, a fabric yoyo, buttons and a glittery spider. Here's a picture with all the goodies that I sent to Val. In the bag marked Witch's Brew is some home-made mulling spices to add to cider, juice or wine. The Sugary Spell is a maple sugar jack-o-lantern. There's a Halloween dish towel and some chocolate treats. I made the little owl witch decoration after deciding that I didn't want to add the owl onto the hat. And it's all sitting on a quilted table runner that I made from my collection of Halloween fabric. Here's the fabulous witch hat that Val made for me. Can you believe we both used black velvet, feathers, a spider and some bling. Val and I are definitely crafting sisters. And here is the whole WOW!!! package that I received from Val. She made so many great goodies for me. The Frankenstein pin cushion and the skully pin are just too cute. I have had my coffe wrapped in the cup cozy ever since I took this picture. The 'EEK' wand and the 'SPOOKY' banner are now decorating my living room. There were yummy goodies too. Hot choclate and apple cider K-cups, soup mix and Tootsie Rolls. And, yes there's more, a cute little snow globe, a Moon Magic book and some Halloween napkins. I just kept unwrapping and unwrapping... What a fun swap this was. I'm so glad you stopped by for a visit. 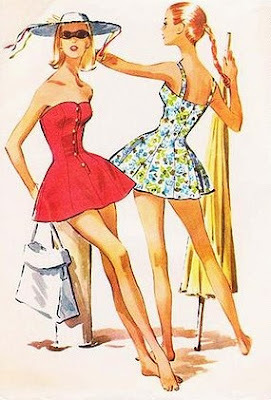 I began blogging to share my love of aprons. Now I use my blog to share all the things I love. I learned to sew when I was 11 years old and it's still my favorite hobby. I adore vintage everyday items. I can spend hours poking around a flea market or antique store. I am a stay at home mom, and after homeschooling my son for seven years, I'm finding more time to craft and sew. I have been happily married since 1991. I live in the town I was born in and most of my family live only minutes away. Sunshine's Creations @Vintage Threads Inc. This is a Flickr badge showing items in a set called APRONS. Make your own badge here.